Be the first to share your favorite memory, photo or story of Pauline. This memorial page is dedicated for family, friends and future generations to celebrate the life of their loved one. Pauline Barbara Moroney, 84, of South Hamilton, passed away peacefully at home on September 1. Born Pauline B. Rynkowski, she was the daughter of late Walter and Agnes Rynkowski of Salem. Pauline attended the Chandler School for Women, then worked for Sylvania in Salem, where she met her husband of 52 years, Maurice J. Moroney Jr. She is survived by her children, Sheryl Watson, and her husband Bret of Yarmouth, Maine, Dr. Rise’ Sheehan and Richard D. Gilligan of Wenham, and Maurice J. Moroney III (Jere) and his wife Joelle of Wenham. After their wedding, Maurice and Pauline lived in Palo Alto, California and New York before settling in South Hamilton with their young family. There Pauline developed lifelong friendships with her Greenbrook Road neighbors, and especially loved the neighborhood Fourth of July celebration. Her station wagon was usually filled with children taking trips to the beach, local ski slope, or Salem Willows for a box of popcorn. Pauline was devoted to keeping family together, and summer Sundays were filled with cookouts and water sports with aunts, uncles and cousins at the family home on Chebacco Lake. She was especially fond of hosting big family gatherings on Christmas and Easter. Pauline proudly attended her children’s, and later on her grandchildren’s’ school concerts and sporting events. Her unmistakable cheers from the sidelines were followed by postgame hugs and baked goodies for everyone on the team. Pauline’s unwavering love and support are dearly missed by her seven grandchildren, Grace, Hannah and William Moroney, Katherine Sheehan, and Max, Lilly, and Charles Henry Watson, who were so fortunate to have her as a wise, loving and humorous confidante. Pauline had many interests, but her passion was her spectacular garden. 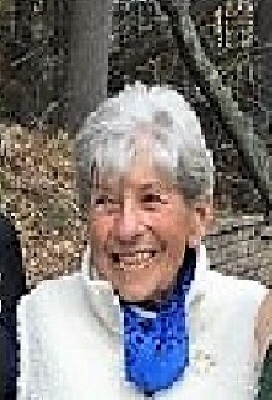 Her beautiful tree and flower plantings were featured on Hamilton-Wenham Garden Club tours and she advanced her horticultural expertise and skills as a Master Gardener in the Garden Federation of Massachusetts. Pauline’s knowledge was well respected and held in high esteem by her horticultural peers. Her funeral Mass will be celebrated at Church of St. Paul, Hamilton on Friday, September 7, 2018 at 9 a.m. Relatives and friends are invited to attend. Visiting hours at the Campbell Funeral Home, 525 Cabot Street, Beverly, Thursday from 4 to 7 p.m. Information, directions, condolences at www.campbellfuneral.com. To send flowers or a remembrance gift to the family of Pauline B. Moroney, please visit our Tribute Store. "Email Address" would like to share the life celebration of Pauline B. Moroney. Click on the "link" to go to share a favorite memory or leave a condolence message for the family.